After having been asked countless times about how various cables perform with the SE5, I gathered all of my aftermarket cables for testing with the SE5. Unfortunately the number of cables I was able to actually test was a bit of a disappointment to me since the right channel of my SE5 is finicky as the standard SE pins are 1.5mm longer than usual. Therefore I have only included what worked, but would like to get other cables to test with the SE5. My approach for this comparison was to compare the stock detachable cable that came with my SE5 and several other cables from a sound perspective. My source consisted of: Media Monkey -> WASAPI -> ESI Audio Prodigy 7.1 HiFi sound card optical out -> Anedio D1 DAC. A note on cable fit: The SE 5 cables were very secure when installed; while the OM cables fit fine, they didn’t have the same secure feeling and they were a bit easier to remove when swapping cables. This was in part due to the longer pins of the stock cable and in part due to the larger over-mold portion of the shell connector, which fits snugly in the recessed socket. Something to possibly take into consideration when ordering a cable. Stock JHA JH16 cable (for a frame of reference): The SE5 stock cable has more treble emphasis than the JH16 cable, bringing the upper midrange/treble more forward resulting in the JH16 cable sounding a bit dull and dark in comparison. The presentation with the SE5 stock cable is cleaner and clearer with a hair more micro-detail and a slightly more 3D sound, but the biggest difference is the change in tonality. Replacing the stock cable of the SE5 with the standard twisted cable will result in a darker sound. Whiplash TWag V2 Gold OM: The TWag V2 Gold OM cable is slightly louder and a bit more mid-forward, but at the same time provides more width to the presentation. Clarity and dynamics are improved with the Gold cable, making the stock cable sound a bit dull in comparison. The improved clarity makes it easier to hear the fine nuances in music, but this trait can bring out issues in tracks more readily than the stock cable, although not quite to the extent of the TWag V2 OM cable (non-Gold). Bass quantity is about equal to the stock cable, but bass from the Gold cable comes across as more powerful due to better dynamics and a slight speed improvement. Overall, the TWag V2 Gold OM cable offers a more spacious, detailed, refined, and slightly more analytical sound than the stock cable. Whiplash TWag V2 OM: The stock cable presentation is more mid-forward, specifically bringing the upper midrange/lower treble closer than the TWag V2 OM cable in a similar but less significant fashion to the JH16 stock cable. However, the similarities between the TWag V2 OM and the JH16 stock cable end there as the TWag cable has more depth to the presentation, giving a better sense of space. The amount of pullback to the upper mids/lower treble is song dependent. The differences can range from similar to a bit darker sound from the TWag cable. At the same time, the treble is a bit more separated and analytical resulting in a more revealing sound that accentuates detail, good or bad, and isn’t as smooth as the stock cable. Bass with the stock cable has more bass presence, but isn’t as clean or detailed. Overall, the TWag V2 OM reveals more of the finer nuances within recordings but does so with a more analytical presentation. Moon Audio Silver Dragon V1 IEM cable: With a more laid back sound and slightly less upper midrange emphasis than the stock cable, the Silver Dragon V1 changes the sound signature in a similar way to the TWag V2 OM cable. The V1 adds a bit of smooth refinement, which an extension of slightly better imaging when compared with the stock cable. Bass response is similar, but the SD V1 has a bit more punch while the stock cable has a slight bit more quantity. The changes to the sound aren’t as large as with the TWag V2 cable, but the sound retains the smoother presentation of the stock cable. Offering a subtle improvements over the stock cable, the SD V1 is a bit more laid back and refined while maintaining the smoothness. Null-Audio Arete: The Arete fits in part due to the extra-long pins as well as the non-OM shell connector fitting inside the recessed sockets. The soundstage of the presentation was off with the Arete as tracks such as Virtual Barber Shop sounded off. This is because the center of the soundstage is pulled forward while the rest of the soundstage is pushed back and lacking depth. Switching the pins to an out of absolute phase configuration the sound became more spacious, but the presentation seemed like I had my back turned to a stage that was far away. While interesting and different, the depiction of the music isn’t something I would recommend. Cable Summary: The stock cable is a tiny step up from standard cables that come with many CIEMs in SQ, however the build is better. There are also improvements to be gained as well as achieving subtle changes to the sound signature of the SE5 with aftermarket cables. 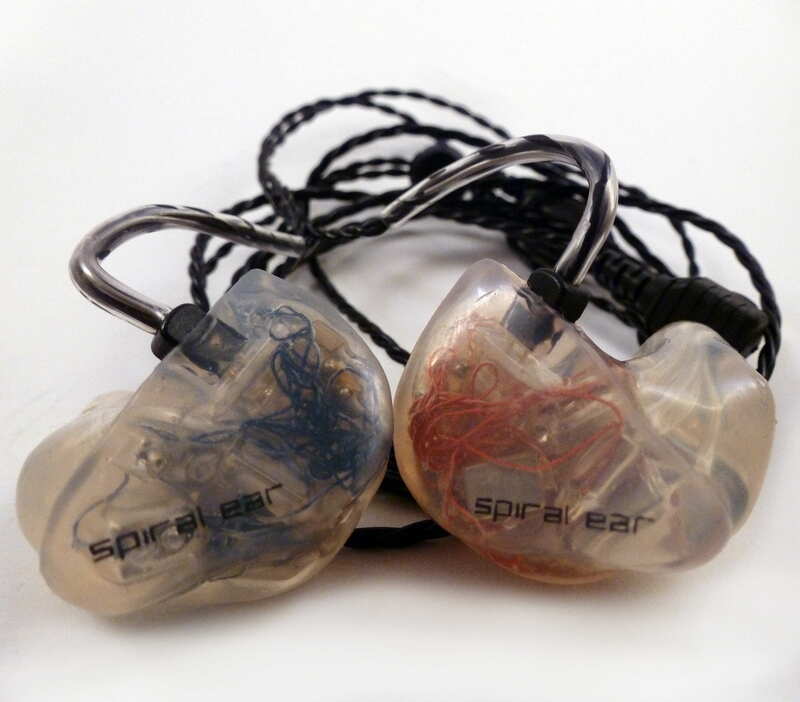 With a natural, organic sound the Spiral Ear SE 5-way Reference sets new standards for me in many categories including resolution, transparency, bass capability, treble extension, and treble quality. On top of that, the 5-way changes its sound signature with each track, bringing out the mastering differences in position, warmth, and other characteristics, making it difficult to pinpoint the sound signature. Tonally the 5-way wouldn’t be considered bright but not lacking treble, however don’t look for clarity through brightness, and while the resolution and detail are present, they aren’t pushed to the front. The presentation space is large and has a rectangular soundstage shape vs. the traditional oval, with the ability to project both forward and out at the same time quite well. The attack and decay are exceptional which result in a very natural note and the ability to recreate speed and power. 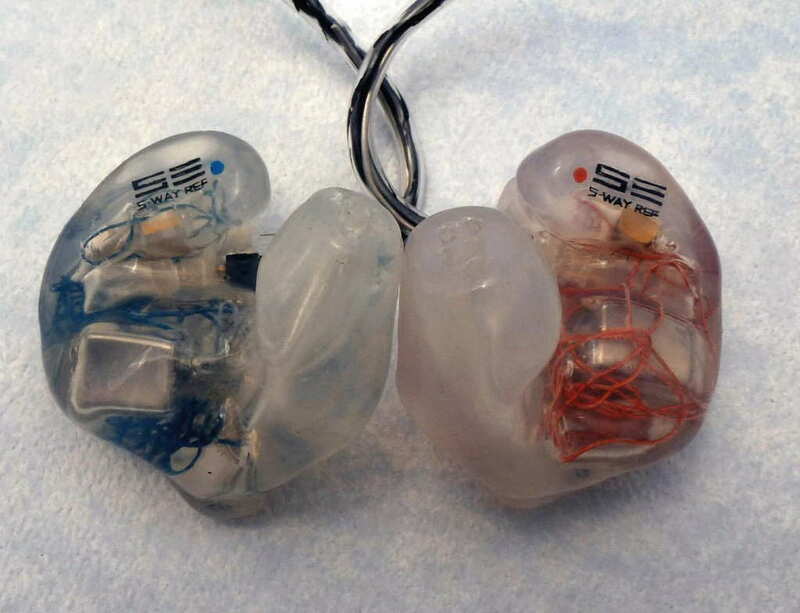 Overall, the 5-way is a very neutral and transparent CIEM that performs at an extremely high level and should be a consideration for those that aren’t looking for a bright sound signature.